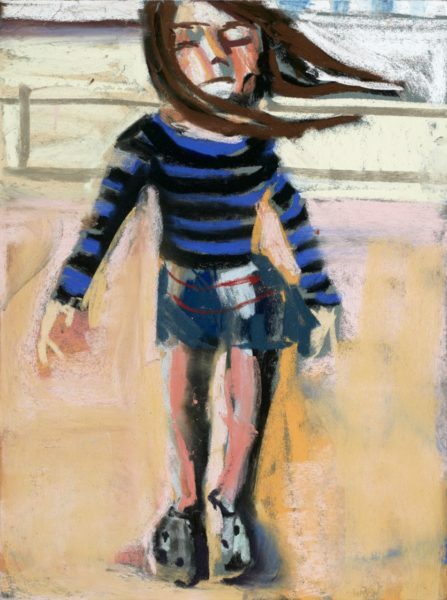 The Contemporary Art Society is pleased to announce the first acquisitions of the 2016/17 Fine Art Scheme: Esme and Alba in Madison Square Garden, Vita Roller Skating, Esme on the Beach, and Esme in N.Y.C (all 2015) by Chantal Joffe (b. 1969) for The New Art Gallery Walsall. 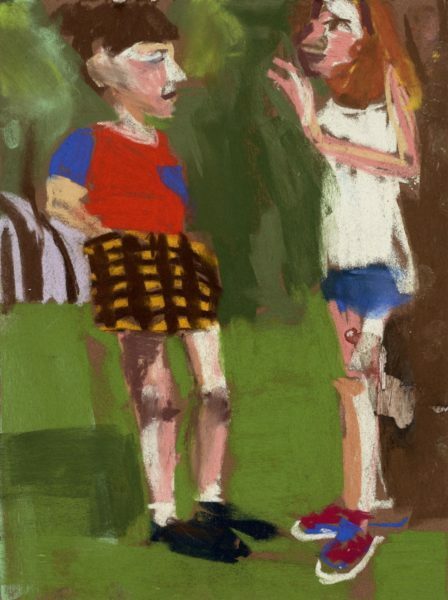 With her paintings featuring primarily women or girls, Chantal Joffe brings a psychological and emotional force to the genre of figurative art and portraiture. The source of her images comes from un-posed or unplanned ‘snaps’ of her family, friends, domestic life, and the artist herself, as well as anonymous models from sourced in magazines. Through the use of a casual brushstrokes and vivid colours, combined with distorted perspectives, Joffe creates contained and provocative portraits. The four intimate pastel-portraits acquired for The New Art Gallery Walsall depict Joffe’s daughter Esme, a subject she has painted over and over again in different urban environments. The bright colour-palette and the slight distortion of scale and form give these sensual portraits a striking immediacy. Joffe’s four portraits have strong resonance with the New Art Gallery’s Garman Ryan Collection, donated to the people of Walsall by Lady Kathleen Epstein (née Garman) and sculptor Sally Ryan in 1972. The representation of family members is a common theme in this collection. Sir Jacob Epstein, Lady Kathleen’s late husband, and other artists affiliated with the family, such as Lucian Freud, form a large part of it, as well as images of Lady Kathleen’s children, Theo and Esther Garman. 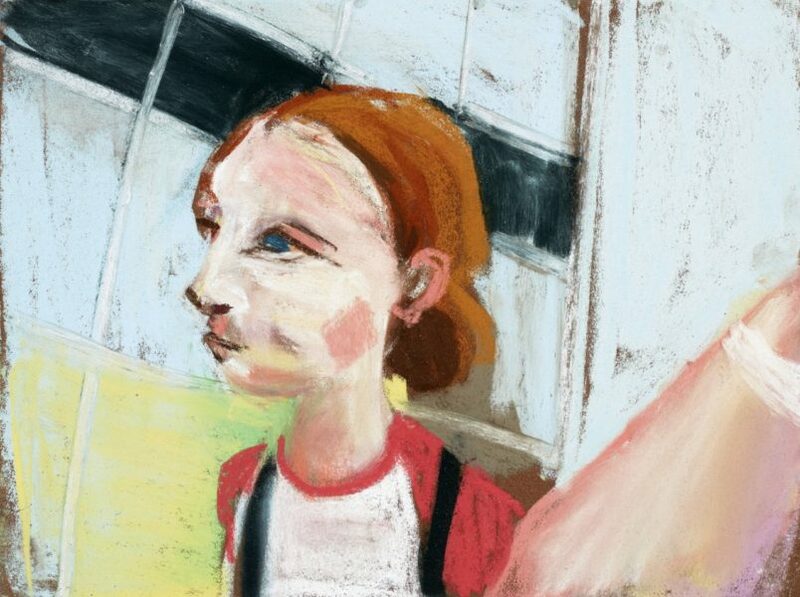 The close emotional connection between Joffe and her daughter make her small-scale portraits a compelling addition to Walsall’s collection. 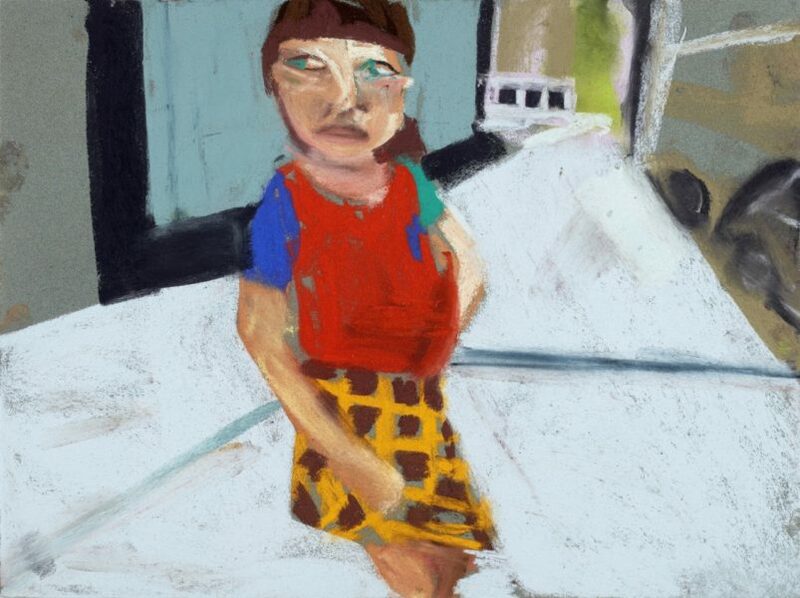 Chantal Joffe (b. 1969, St. Albans, Vermont, USA) lives and works in London. Joffe studied Fine Art at the Glasgow School of Art, followed by a MA in in Fine Art at the Royal College of Art, London. She has had solo exhibitions at Victoria Miro, London (2016) and the Jewish Museum, New York (2015), amongst others, and has been part of group exhibitions at the National Museum of Iceland, Reykjavík (2016), National Portrait Gallery, London (2015), and Saatchi Gallery, London (2013-2014).